The coat of all coats! This one is a beauty. 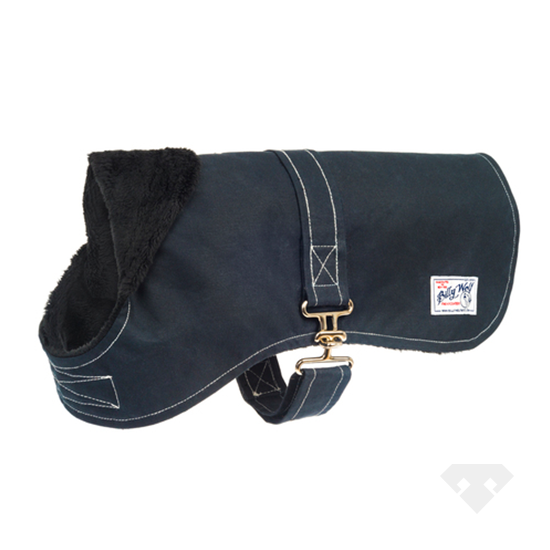 Equestrian themed with adjustable surcingle closure, blue black waxed canvas outer and a luxurious soft black sherpa lining your pooch will look super smart whilst having the ultimate in comfort and protection. 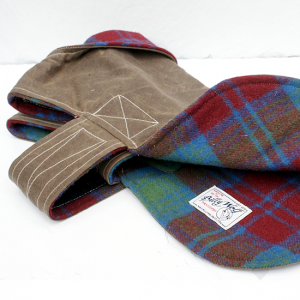 The Angus is fully water resistant and like all Billy Wolf coats has a harness hole at the centre back. 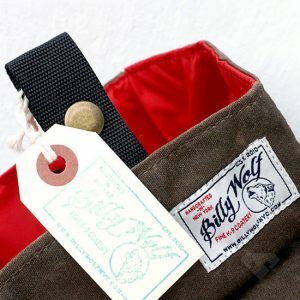 Designed by Lyndsey Drago, previously a designer for Ralph Lauren, Billy Wolf brings classic, New York style to the canine world. All coats are handcrafted & made using vintage, dead stock, & American-made fabrics & finished with salvaged buttons & handcrafted labels in New York City. 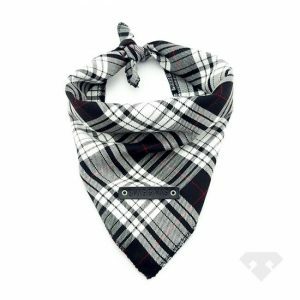 Only the best quality materials are selected providing a durability that stands up to mild-mannered and rowdy canines alike. 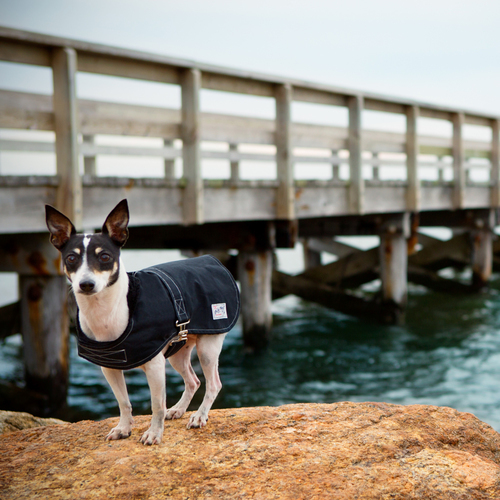 Coat sizes are measure from the base of the neck to the base of the tail. 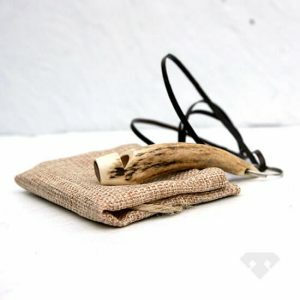 Girth is measured at the widest point of the chest. 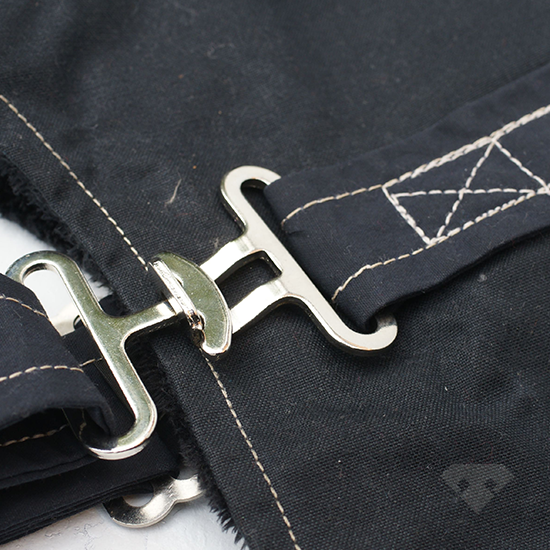 Please double check measurement before ordering to ensure a perfect fit. Any questions, give us a shout!